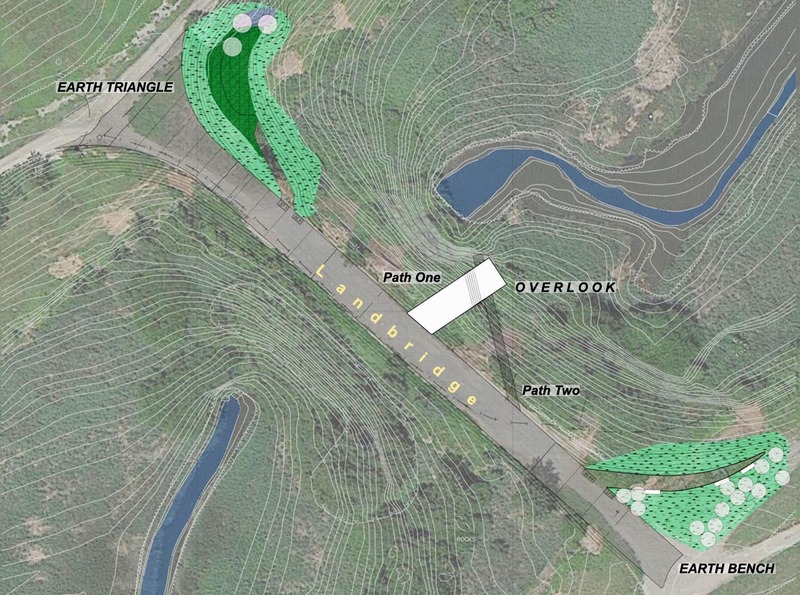 Mierle Laderman Ukeles’ Percent for Art project for the future Freshkills South Park is a single experiential artwork entitled LANDING, with three components: the soaring, cantilevered Overlook and the two earthworks, Earth Bench and Earth Triangle. 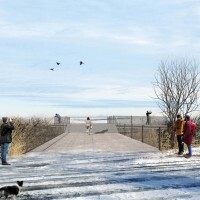 These three components will be connected by the newly graded and ADA-accessible landbridge which– at nearly 500 feet long and some 32 feet above the tidal inlet below–connects the two mounds that form South Park. 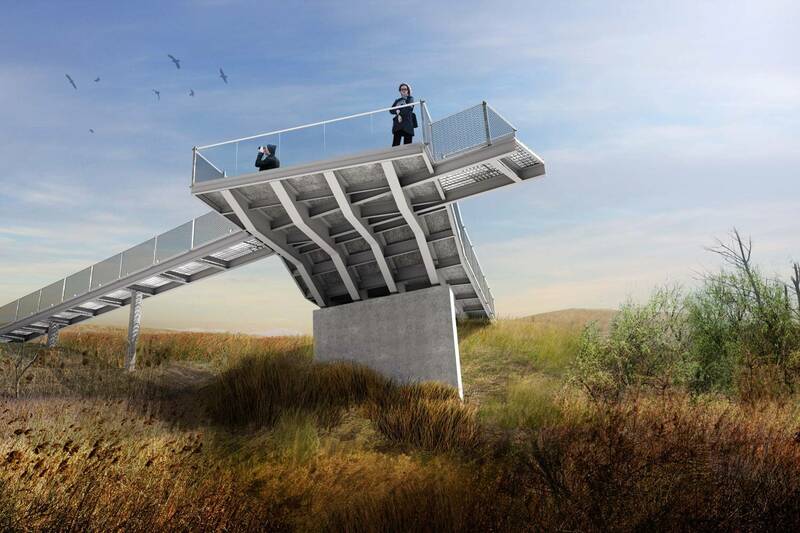 Each component invites visitors to “land” and to experience this new kind of public place in three different ways: perched and floating (Overlook), standing solidly on the land itself (Earth Bench) and being within the land which becomes a sheltering refuge (Earth Triangle). 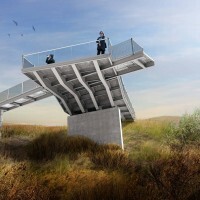 The Overlook is composed of two paths that form an intersection of the human-made and the ancient natural environments. Path One points to a clear unobstructed two-mile long view of the evolving technologically designed urban park landscape: what the former landfill areas will become. 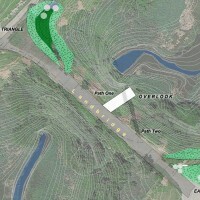 Path Two reveals the “Ecological Theater” of wetlands and tidal inlet directly below: what this place was originally. Both exist in harmony to form the new park. The earthworks are sculptural forms visible from the landbridge and Overlook. Earth Bench at one end of the landbridge is a flat, curving swath on which to plant oneself solidly on the ground in a spot where the broad landscape unfolds to the east and north. At the other end of the landbridge and formed by the space below the road, Earth Triangle, becomes a sheltered refuge. Its surprisingly open, wide grassy area is entered by an inclining accessible path and provides an intimate space where visitors can sit, picnic and play. Each earthwork area will be planted with a variety of shade trees and a conservation mix of grasses selected for sustainability over time. 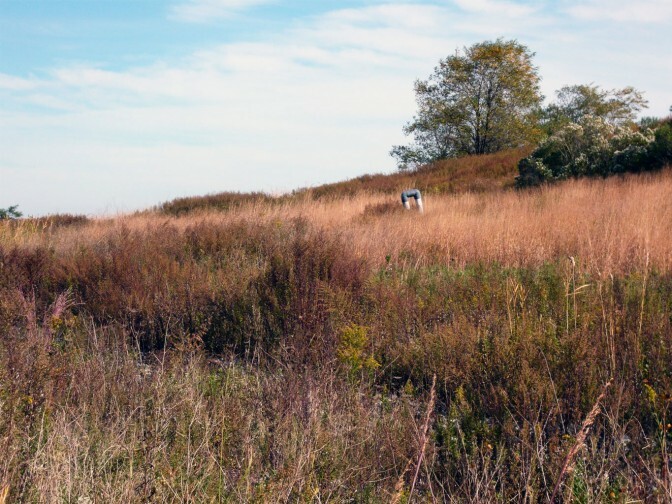 This public artwork, the first permanent artwork for Freshkills Park, is a symbol of the park as a site of transformation. Commissioned by the Departments of Sanitation and Cultural Affairs, LANDING has been designed by the artist working with WXY Studio and URS Corporation. 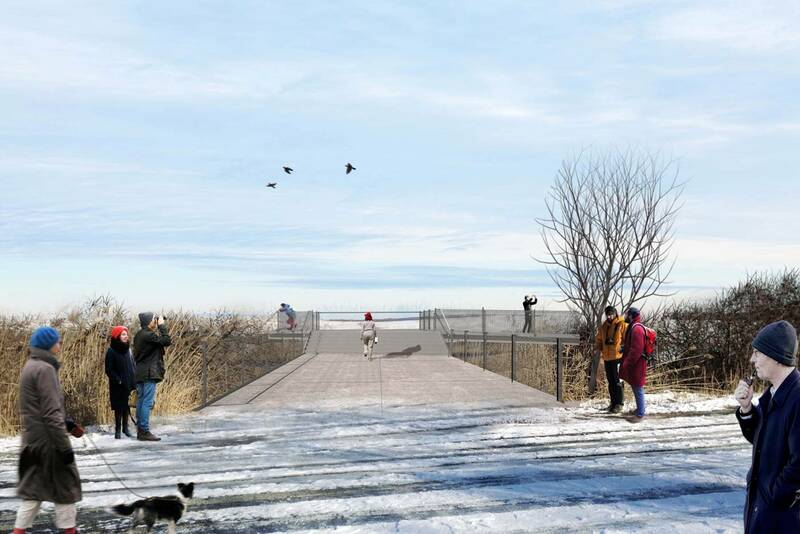 When constructed and opened, it will create an active and accessible environmental artwork; enrich the Park Department’s programming and tours; and enhance the future expansion of the park.